It is time! 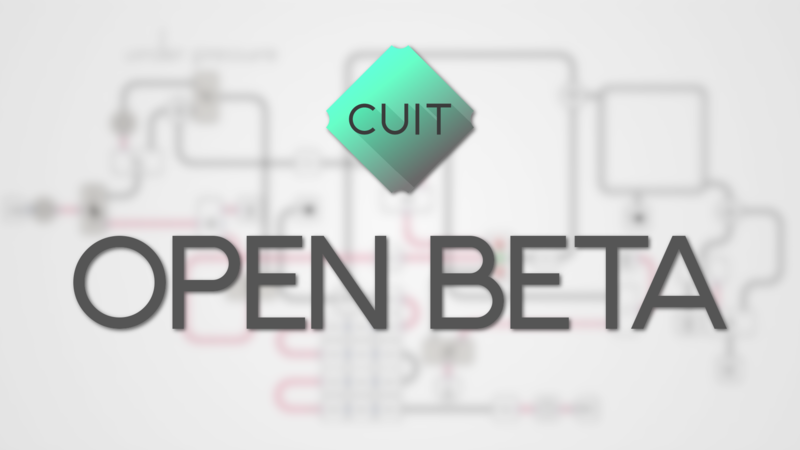 Cuit has finally released it's open beta - with the first 39 levels to test your mind. Challenging, yet relaxing and educational. Can you beat the circuit? One small step for a man - one giant leap for Cuit! Today we finally released our Open Beta / Demo for Cuit. Challenge your mind in 39 mind-boggling levels. 9 months it took. From the first idea, to the release of the beta. It was quite a journey - One man, a thousand problems and hurdles. But here we are! I really hope you enjoy it and consider voting for the game on Steam Greenlight, really would mean a lot! Beside the demo, also the second trailer launched a few days ago. Contrary to the first one, the "Snappy Trailer" is short and uplifting, to grab some attention and make the viewers curious enough to watch the longer, first trailer. This time without any narration, the trailer mainly focuses on typography and music.